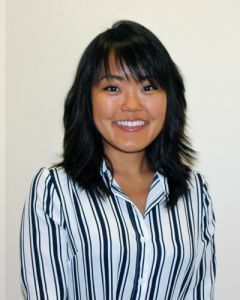 Dr. Courtney Miyamoto graduated with honors from the University of Maryland, School of Dentistry in 2018 as a member and Treasurer of the Gamma Pi Delta Prosthodontic Honors Society. Admittance to the society requires excellence in the didactic and clinical aspects of Operative and Removable and Fixed Prosthodontics. Dr. Courtney also received the Nathan David Gold Memorial Award, a highly regarded school-wide honor. She was selected by classmates and faculty for her conscientious and enthusiastic dedication to the clinical practice of dentistry. In May 2018, President Perman acknowledged Dr. Courtney as a third-generation graduate of the University of Maryland, School of Dentistry during the Commencement Ceremony and unveiled her video. The video, similar to the original footage from 2015, highlighted the campuses, and ethnic diversity of the six professional schools and interdisciplinary Graduate School. Read the article here. Dr. Courtney is welcoming new patients as a General Practice dentist alongsideher father, Michael Miyamoto, DDS ’87, and in spirit, her grandfather Alan Miyamoto, DDS ’62, at Miyamoto Dental Design Suite. She hopes to give back to the community by providing dental care for the underserved on Maui, neighboring islands, and abroad. Dr. Courtney enjoys surfing, paddleboarding, hiking, camping, and traveling with her family and friends.